Semi-desert, foothills, montane. Pastures, meadows, woodlands. Summer. Canyons of the Ancients National Monument near Yellow Jacket Canyon, July 5, 2010. 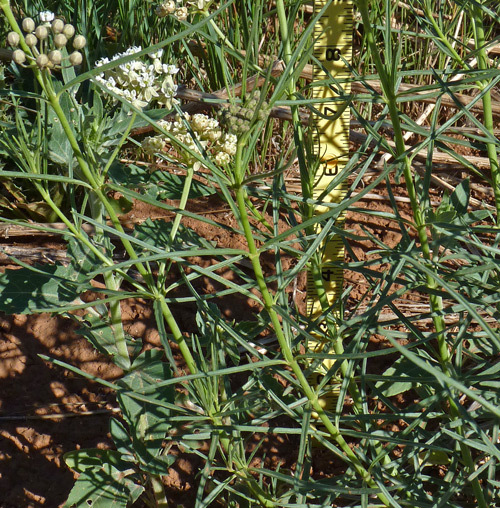 Asclepias subverticillata is a perennial growing from stout rootstock typically to about fifteen inches tall, but it can reach nearly four feet. It often is found along roadsides and in other disturbed sites. It blooms for many weeks from early to late summer. It is a distinctive plant, easy to identify because of its very narrow leaves. Asclepias subverticillata was first collected for science by Charles Wright in Texas in 1852 and was named Asclepias verticillata variety galioides by Asa Gray in 1858. 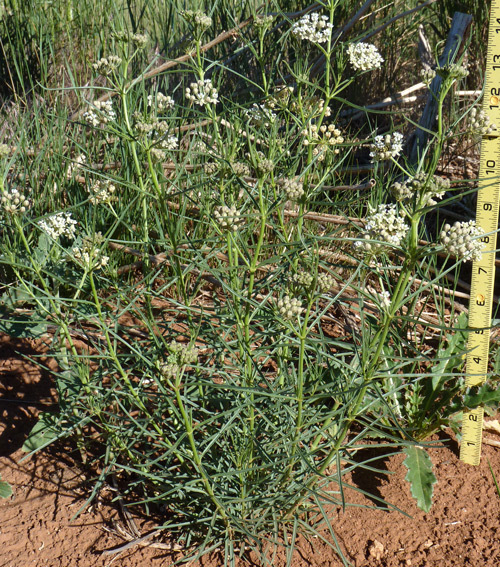 Vail renamed it Asclepias subverticillata in 1898. "Subverticillata" means "almost whorled", referring to the leaf arrangement. Asclepias verticillata (not found in our area) does have leaves in a whorl. 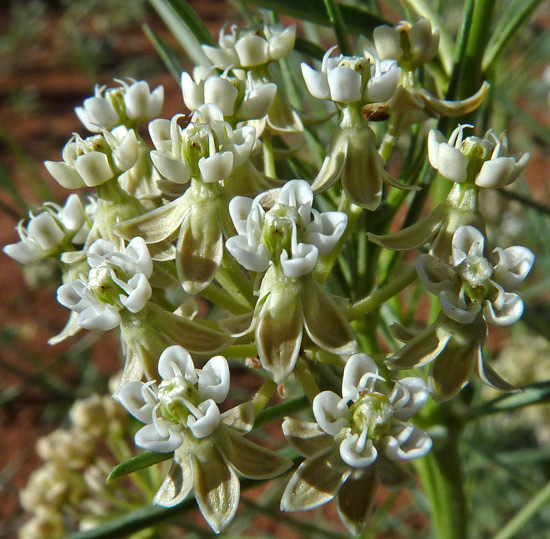 Click for diagrams explaining the complex Milkweed flower structure. Scroll about 1/3 the way down the flower structure page. Very interesting. 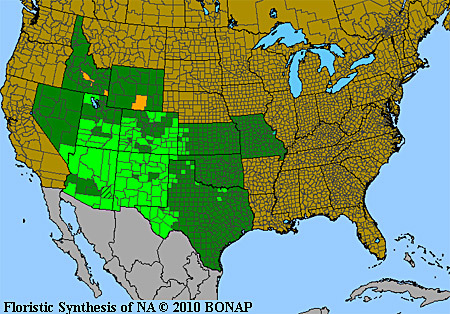 Also click to see the ultimate Milkweed page.